My husband and I went through a lot. He became my boyfriend when we were both 14 years old. He was six months older than me. He had six brothers and was the only survivor in his family. And I’m a survivor. From Czechoslovakia. Hitler took everything away. It’s not easy. My husband’s gone three years now. The friends are gone. But life goes on. Whenever I need help, someone from Selfhelp comes to my home if I’m not able to go to their office. The help is always there for Holocaust survivors. Just knowing we can rely on getting that assistance means a lot to us, to all the survivors. I go to the Coffee House in Riverdale and also to the Bronx House once a month. We have lunch in the senior center followed by a discussion group, where we talk about all kinds of things. The best thing is just not to sit. I still love to dance. If I hear music, I’m on the floor, dancing. And I have a wonderful family with my son and daughter-in-law, grandchildren, nieces, and nephews, great-grandchildren. We’re very close. I’m lucky that way. 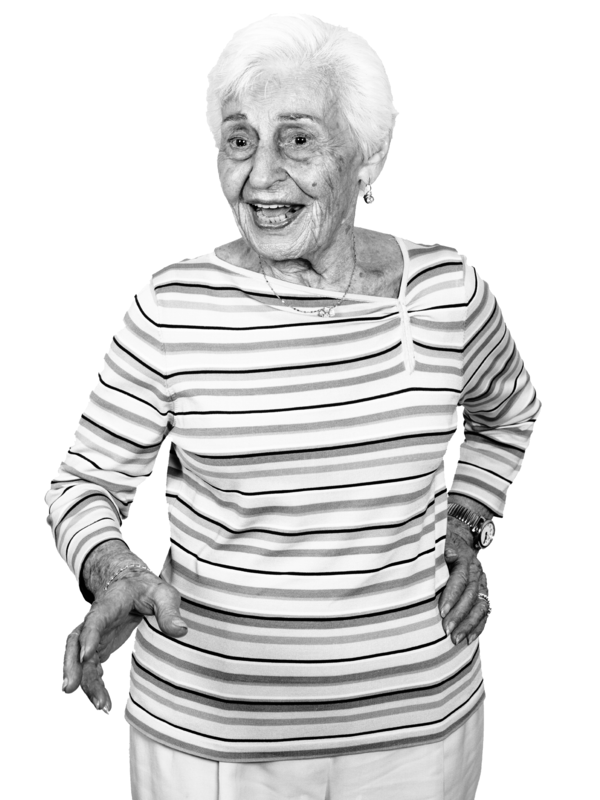 Golda Feuerstein is just one of the thousands of Holocaust survivors living in the New York area that Selfhelp Community Services, a UJA partner, provides support to each year. Selfhelp Coffee Houses bring survivors together to enjoy the songs and dances of their generation.